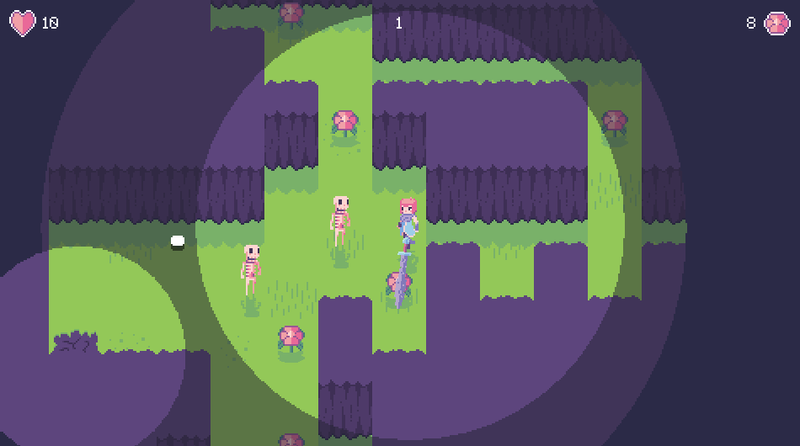 Blomst is a cute dungeon-crawler full of flowers. 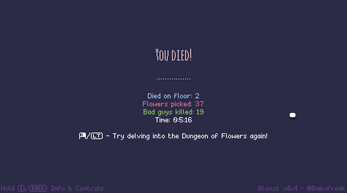 Delve deep into the dungeon of flowers and use the fluid twin-stick style controls to collect beautiful flora and pick on skeleton guys with your huge sword! Created for the 2016 A Game By Its Cover game jam and inspired by this Famicase cover. And while the game jam has ended, this game is very much still in development! Look forward to updates in the coming weeks. Controls: Keyboard/mouse and standard XBOX gamepads are supported. Hold I / Back in-game to see all controls. 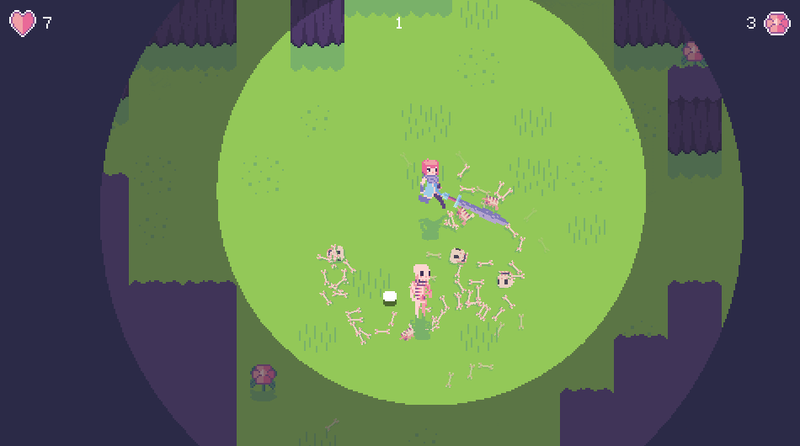 Features that could be cool to develop at some point: More enemies and flowers, more diverse environments, friendly NPCs, better combat, story bits, boss battles, and of course SFX and music. Added "squirting cucumbers". Hit them, and they go flying! Seeds hurt you and enemies. Now uses YoYo Compiler. It seems to work decently. General optimisation and minor text fixes. Hopefully it runs a bit better now. Still much to improve in terms of performance though! Updates currently put on hold indefinitely, as I am busy with other things. Loved playing it, even if I didn't get very far into it before dying. Very pretty art style and strangely addictive gameplay :D Great work! Great! 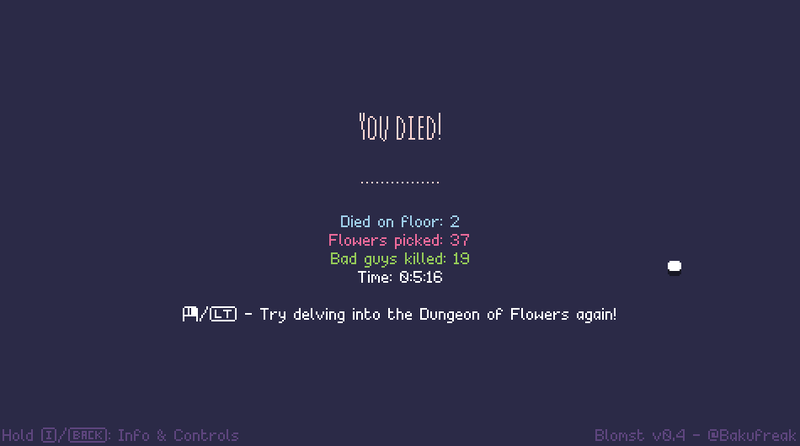 The explosive green flowers are probably the most interesting mechanic, but all the combat feels nice too. 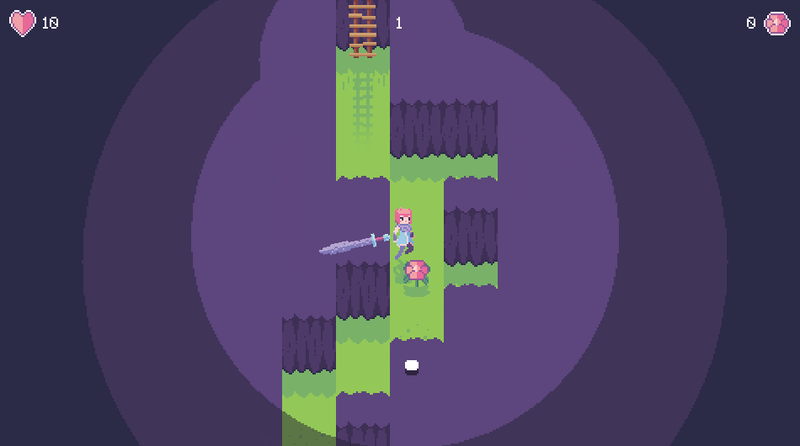 One tiny technical change that would be great to make is to stop the score timer while a new level is being generated. 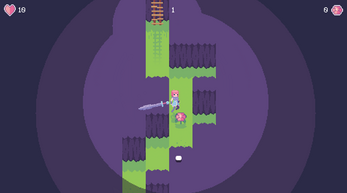 A unique and charming game, even if unfinished. Known bug: Having multiple computer mice plugged in simultaneously can make the game laggy while aiming with some of those mice. I'll look into this for the next build. The game seems to crash almost immediately after loading. Sometimes it takes seconds, and sometimes it runs until I attack. It's a shame, the game looks nice. I have to Force Close the game to get out. Huh, that seems weird. How exactly does it crash? Does it just freeze, or does a fatal error popup appear? If a popup appears, please copy and paste what it says as that would tell me the exact cause of the crash. Usually it will freeze and I will have to force close, but sometimes it just minimizes to the desktop and runs in the background while not letting me bring focus back to it. I don't get a popup. Please b0ss! Your art is so pretty, let me get a closer look!